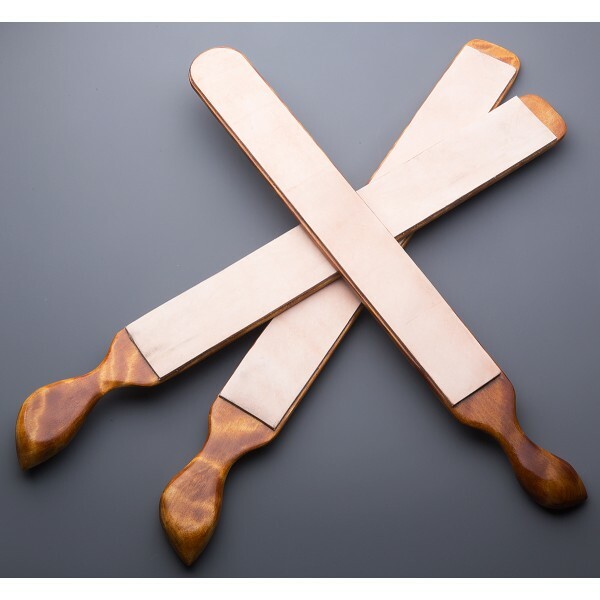 Jared Jasinski, designer and woodworker based in northern Vermont, creates these beautiful wood-backed leather strops to help keep your chef knives sharp and increase the edges longevity, ideally reducing the amount of sharpenings needed. 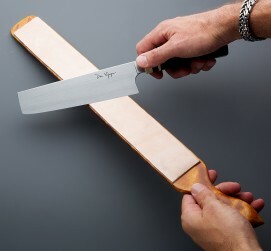 The handles are beautifully carved and comfortable in the hand, designed exclusively for the strops here on Eatingtools. Each is made one at a time and the dimensions, shape and wood grain will vary slightly. 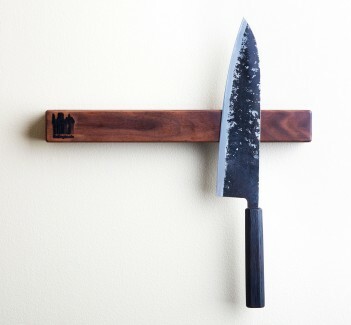 Woodworker and designer Jared Jasinski creates stunning one-of-a-kind chef knife strops, cutting and serving boards, as well as knife sayas like those he builds for his friend and knifemaker Nick Anger. Jared's eye for natural beauty results in shapes and styles that accentuates the materials he works with, and his tools are made to be used daily. Overall Length: appx. 19" - 21". Leather length: 13.5" - 15.5". Leather width: Appx. 2". Birch or Maple wood, cowhide leather.